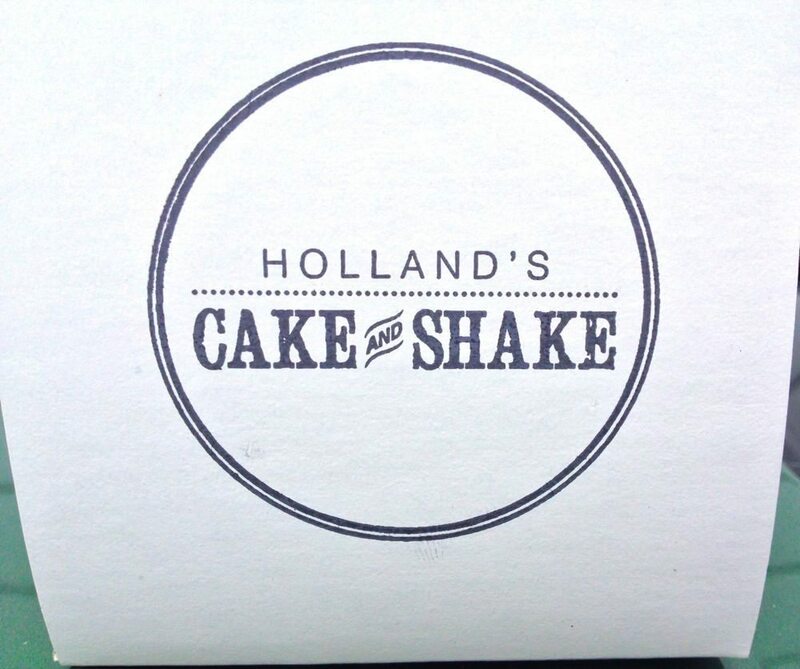 Tucking into the brown bag lunch at Holland’s Cake and Shake was like a chomp back to childhood, to the days when summer sandwiches came with a side of Humpty Dumpties. 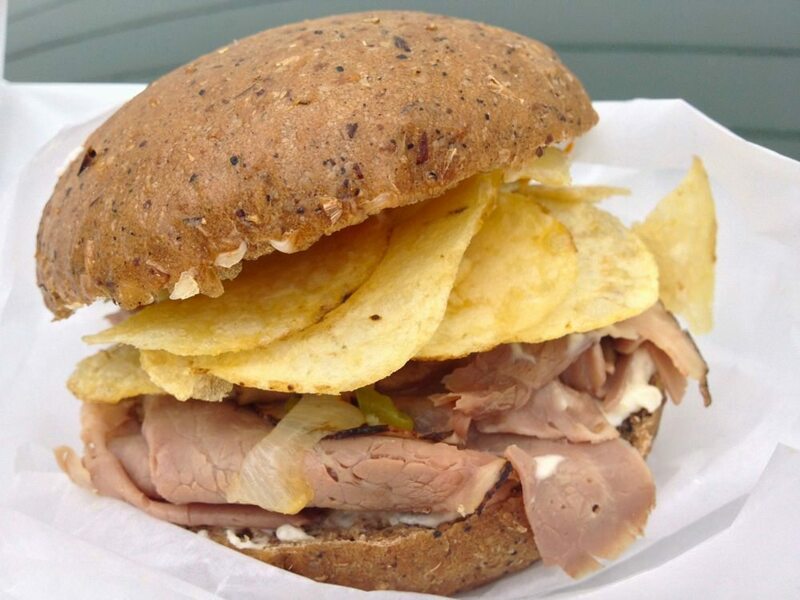 I’d pry open the sandwich — any sandwich, PB&J, bologna and ketchup, ham and cheese — and insert the chips. It drove my Manners Matter mother mad, but I loved the crunch and the added salt it delivered. So what fun to find potato chips (clearly of a higher quality than my HD’s) in my Beef in a Bun at Holland’s. Located directly across the street from the Parkdale Market on Armstrong Avenue, this is a new business for former Atelier pastry chef Michael Holland. It concentrates on soft ice cream and dramatic mini cakes. On most weekdays, there’s a bagged lunch deal, with or without ice cream and mini cakes. I chose with. 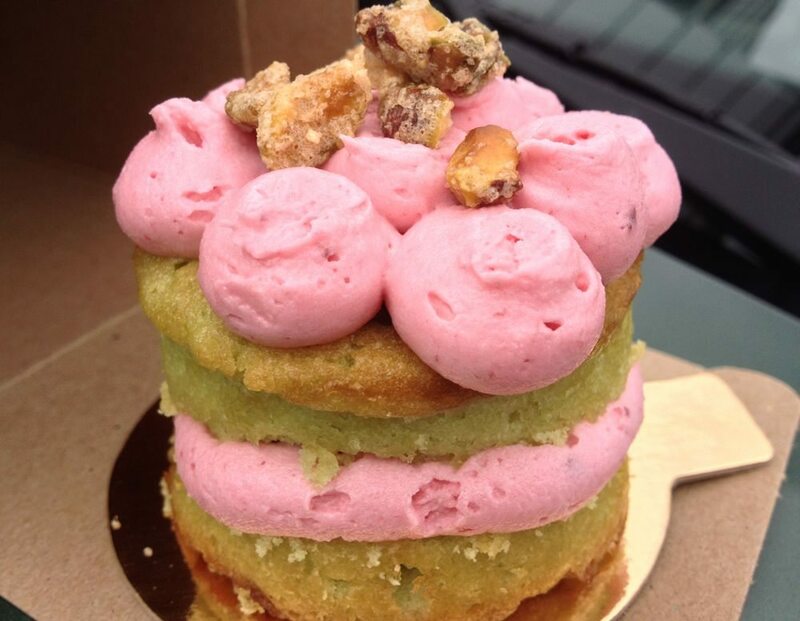 I upgraded from brown bag sandwich-with-a-cookie to sandwich-with-cake: Cherry Pistachio. And while I waited, was treated to a sample of the two ice creams on offer. Cinnamon and Chocolate, both soft serve and really quite exceptionally good, particularly when muddled together. Holland’s mini-cakes are darling looking, designed to delight, particularly if you’re pint sized. I wouldn’t call them dainty, nor overly girly. But they are certainly one of a kind: layered, about four inches high, with piping that looks like tiny turrets on a castle tower, dusted with unexpected surprises. They are also very sweet treats. Nothing ‘-free’ about them. And eminently shareable. Fortunately, I was alone. Open Tuesday to Friday, 8 a.m. to 6 p.m., Saturday, 9 a.m. to 5 p.m. and Sunday, 10 a.m. to 5 p.m.
Dine Out Ottawa: get booking!